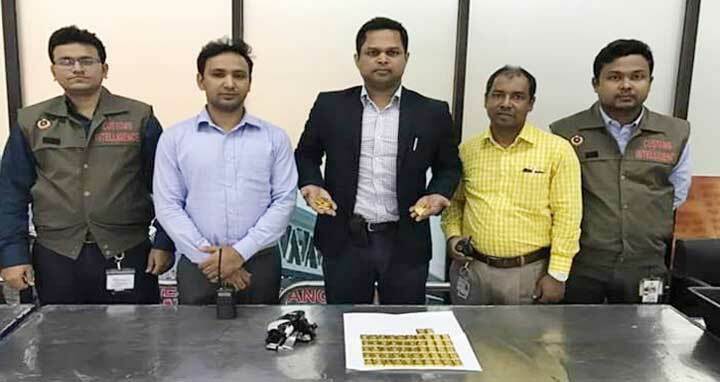 Dhaka, 1 Mar, Abnews: Customs authority seized about 7 kilograms of gold worth Tk 3.50 crore from Hazrat Shahjalal International Airport in the capital on Thursday morning. The gold was recovered from the bathroom of a Biman of Regent Airways coming from Mascot, the capital of Oman. However, no arrests were made in connection with the matter. Customs Intelligence and Investigation Directorate (CIID) Director General Md Sahidul Islam confirmed this.